Today’s guest post was written by Suzanne Bucciarelli, a graphic designer, blogger and website developer. Her main blog, Domaining Diva covers topics including buying and selling websites and domains and other related topics. 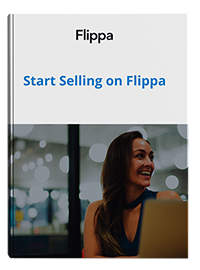 There are plenty of bargains on Flippa, but when you are considering buying a site (from anywhere), you must be careful that you perform website due diligence and research, and verify everything that is being claimed in the listing is in fact true. However, it goes further than just verifying all the claims in the listing. You have to delve even further if you want to avoid some unpleasant surprises after you purchase the site. Does the listing have a detailed, clear description of the site and its assets, traffic and revenue? What stage in the Life Cycle of a site is this site in? Are traffic and revenue rising or declining, and is there room for expansion? How much competition is there and how do they compare in regards to position in the serps, price, product quality, etc.? Are there any obvious violations of FTC regulations, trademark or copyright violations, etc.? You can do a trademark search online at TESS (for US trademarks) and use Copyscape to check the uniqueness of the content. Check the site’s reputation in places like Rip Off Report and Better Business Bureau. If products or services sold on the site are outsourced, will you continue to have access to those vendors or suppliers? In addition to asking the tough questions, you also need to get your hands dirty and dive into the data yourself to see what you can find. Domain Tools is a great tool to help you find information about the domain, how long the domain has been registered, who the domain is registered to (if whois information is not protected), Whois history, Reverse Whois, and has DNS and IP Tools. You also need to look into whether the domain has suffered from reputation problems. You’ll want to know if the domain has been blacklisted by anti-SPAM or anti-virus sites, or if the domain has been banned in Google. A simple search in Google using the operative site:domainname.com, replacing “domainname” with the site’s domain, can tell you whether or not the site is listed in Google and how many pages are indexed. You can enter the IP of the site at Spamhaus.org to check to see if the domain is currently listed in the live Spamhaus IP blocklists. Flippa also has Due Diligence information on the listings, giving you a detailed snapshot of many important website stats from the “View extended due diligence data for this listing.” link. This includes links to the Wayback Machine – a pretty useful tool for checking out the history of a site. It has snapshots of the site, often going back years. Flippa and webmaster forums will give you some information about the seller, but it is usually only what they want you to know, and very limited information. However, both Flippa and webmaster forums will normally give you a link to the feedback that a seller has received from previous transactions. This is very important information and you must take the time to check out their feedback. While it is not a guarantee that the seller is honest, it’s a good source of information on how the seller conducts business and if his customers are happy. If the seller is new, you won’t have customer feedback to rely on. You will need to do some research yourself and Google can help you do that. Get the seller’s real name and type that in Google to see what kind of information you can dig up. You may find he/she has profiles in forums or social networks, such as LinkedIn, Twitter, Google Plus or Facebook. You can often find some very revealing information on these sites about the seller’s character and reputation. In addition to how happy their previous customers are, you can tell a lot about a seller by checking out their other listings, including the ones that have already sold. You may be surprised to find that the seller sells this identical type of site many times over, and this may be something you would like to avoid buying. From the Flippa listing, you have access to the stats for hits, page views, and unique visitors, but those stats don’t tell the whole story. You need to verify where that traffic is coming from (referring URLs) and whether or not the seller has purchased cheap, untargeted traffic to inflate the traffic stats. Insist on either Google Analytics or access to Statcounter or AW Stats to confirm where the traffic is coming from. If some of the referring URLs are unfamiliar to you, check them out to see where that traffic is coming from. Be aware that a portion of those hits can be from the seller himself or from the search engine bots crawling the site. If the seller provides traffic stats from one or more sources, cross-check the numbers with other sources, such as Compete, Alexa or Quantcast. The numbers will never be exactly the same, but if there’s a huge discrepancy, it’s worth investigating. One of the most unreliable pieces of information about a site is often the sites’ revenue. It is possible to fake revenue screenshots so you cannot rely on them to verify how much money a site is making. If revenue is a selling point of the site, it is very important to be able to verify the accuracy of the information given in the listing without relying on screenshots. One way to verify the revenue of a site that is more reliable than a screenshot is by using screen sharing tools, like Join.me or Skype. This is very helpful to get a more accurate picture of the revenue without the seller having to give you login details to his accounts. Learn to distinguish between actual, verifiable facts about a site and just unsubstantiated claims, such as “potential $15,000 month income,” or “the main keyword has 50 million searches per month,” etc. Statements that are not verifiable are not relevant and are only a distraction. A site’s revenue should be based on a solid earning history. If the site was established two months ago and is claiming revenue of $1,000 per month, take that information with a grain of salt. Quite often, a seller will launch a site with a sales page or offer, make some quick revenue and then list the site with revenue claims from the proceeds of the offer. Very often, the offer has run it’s course and the income level being claimed is not sustainable. Look for a consistent history of earning for at least six months. Buying websites can be an immensely exciting opportunity. Just be sure to bear in mind that some sellers may exaggerates or perhaps conceal important information about the site. It’s up to you as a buyer to distinguish between real, verifiable information and information that is incomplete or arguably misleading. Bear in mind that website due diligence will vary from site to site based on the type of site it is, traffic sources and revenue streams of the site. This effort up-front before you buy will be worth the effort in the long term. Finally, when buying a website for any significant amount of money, always use an escrow service. Escrow services protect both the buyer and the seller. Is this how you conduct website due diligence? Do you have any questions about the process? Let us know in the comments!